There’s something lovely about small things. It’s fun to work with unusual formats and materials and it’s surprising how much you can get across in a small space. 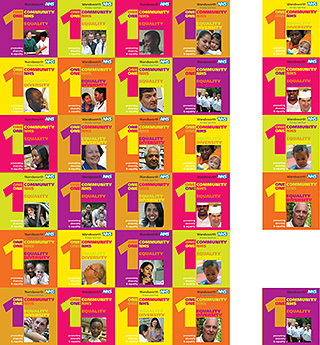 Designed for an internal equality campaign, the space available for posters was extremely variable. We solved the problem with a perforated sheet which could be divided into any number of different shapes and sizes. 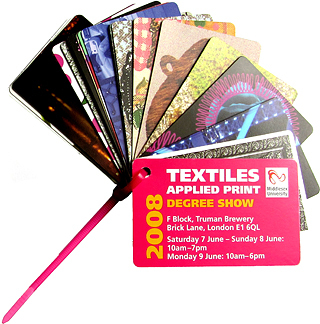 Degree show catalogue in which each student had a card with an image and their contact details which were fixed with a zip tie. The cards were also used as business cards by each student. 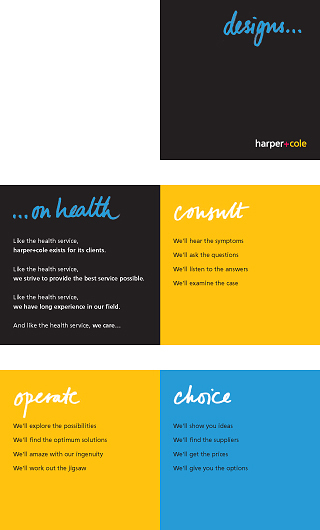 Designs on health, a tiny (100mm square) booklet we designed for our own use in the health sector. 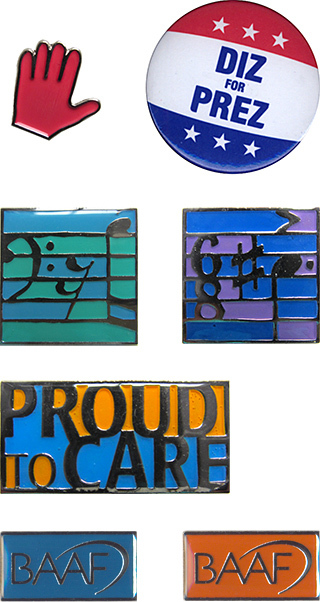 Printed badges, and cast and enamelled badges – which need to be designed to cope with the constraints of the production methods. Very small icons for our websites.